The title of this post has been kickin' around in my head for a while. I started making pizzas after I became a stay-at-home-mom because the price of delivery pizza was more than our budget could handle, yet my spouse loved his Friday Night Pizza Nights. Having the right tool for the job is important to him, in work and at home, so when we decided to take the plunge on pizza-making-at-home supplies he did some research. That's how he rolls. My records only go back to 2000, but I think we purchased our stone and pizza peel in 1999 from the King Arthur flour website. 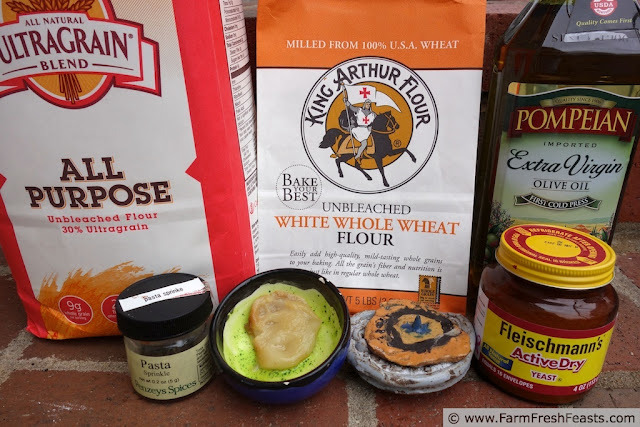 (I get nothing from putting this link here, King Arthur Flour doesn't know me or know I'm writing this, I'm just sharing where I think we bought the tools because they are good quality and continue to serve me well.) These tools crossed an ocean, spent a few years making pizzas in Hawaii, crossed back and spent a few more years working on the East coast, then traveled overland to the midwest. The stone broke some time ago in Virginia and is blackened with age. Like a well-seasoned cast iron skillet, this stone works faithfully for me week after week. It is not pretty, except to me. Somewhere along the way I stopped making pizzas at home because it was cheaper than delivery, and started making pizzas at home because they were better than delivery. Any time you start with fresh, local ingredients (from your garden, the farmer's market, or your CSA farm share) your end result is going to be tasty (Ok, almost any time. Spectacular failures are shared on my FB page since they won't be appearing here. Ever.). Any time you make pizza exactly the way you want it, with the crust, sauce, toppings, and cheeses of your choice, the end result will satisfy your belly and your soul. And when your soul is satisfied, you don't need to keep eating. I've found my family and I eat more moderate portions when our meals nourish our souls as well as our bellies. Let's have a recipe, shall we? This is my take on Trader Joes Garlic Herb dough. I used my own roasted garlic and used half whole wheat and half unbleached all purpose flour, so it's not an exact copycat recipe. I think it's better. I make my dough a few days before Pizza Night, because older dough doesn't fight me like fresh stuff does. It keeps easily 3 days in the fridge. If you know it will be longer, you can freeze the dough and move it to the fridge to thaw the day before you want to use it. I'm not sharing a sauce/topping suggestion for this pizza dough. I'd got some ideas for sauces and toppings in my Pizza Primer post, you're free to look around and get inspired. Here's what I did with mine, which I will share next week have shared right here. Place water and yeast in a the bowl of a stand mixer and allow yeast to soften a few minutes while you get the other ingredients out. 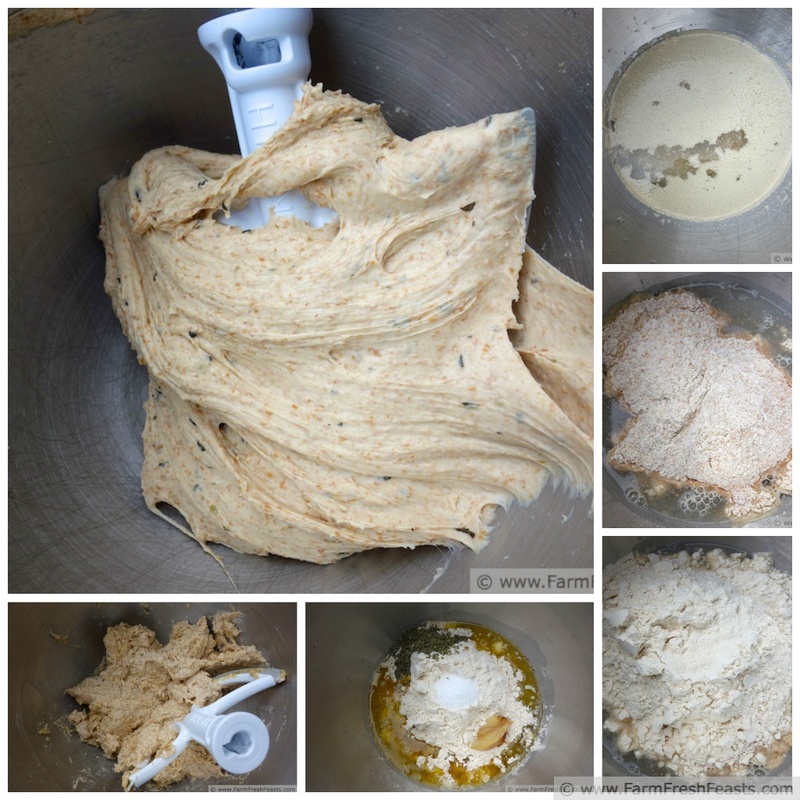 [If you have no stand mixer but do have a bread machine, put the ingredients in the pan and follow the manufacturer's instructions for a dough cycle. If you have no stand mixer and no bread machine--check a thrift shop--you can frequently find bread machines there which will do the dough mixing job for you.] Dump the rest of the ingredients into the bowl, and mix on low speed with paddle attachment for 1-2 minutes until barely combined. Scrape down the bowl with a spatula, then crank the speed up to medium for 3-5 minutes until the dough gets that flowy look like in the large photo. Transfer dough to an oiled bowl or oiled zip top bag and store in fridge up to 3 days or freeze up to 3 months. Refer to my Pizza Primer post for baking and topping instructions. 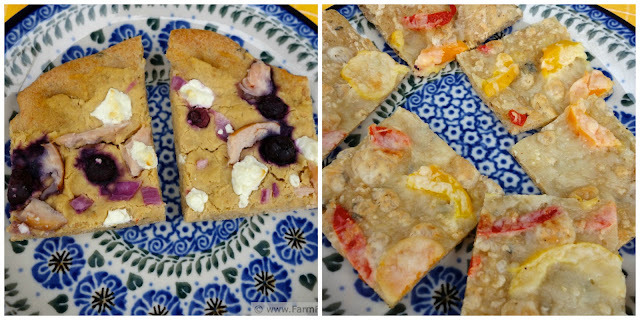 This post is shared on the From The Farm Blog Hop and the Clever Chicks Blog Hop, the Wednesday Fresh Foods Link Up, What's Cookin' Wednesday, What's In The Box at In Her Chucks, and Foodie Friends Friday. The stone, broken edges pushed together, in its usual habitat. Bah. I need to clean my oven. Joy. 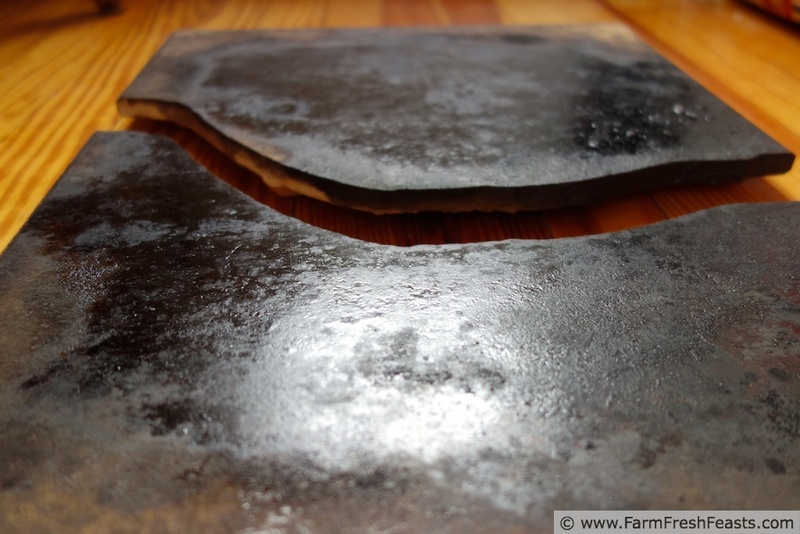 I love my pizza stone, too, but have only had it a year or two - yours has much more love + mileage on it than mine! =) And your pizzas look delicious with that wonderful garlic herb crust. YUM! Mine is definitely showing it's age, but still going strong. Some things get better with age, and well-loved pizza stones and cast iron skillets fall into that category. I love the Ode to the Pizza Stone. I feel the same way about my cast iron skillet, although I've been wanted to grab a pizza stone for a few months now. I need to get on that, and I can't wait to see what you topped your garlicky herb dough with; both options look delicious. Roasted garlic and herbs seem to pair well with so many pizza toppings, so it's a natural fit. And as I bit into my first anchovy pizza of this deployment last night, I'll agree with you--homemade pizza really does rock. You're right, a high oven temperature is a key factor. If you have the storage space, though, think about a pizza stone. In a very conservative estimate (making 2 pizzas a week, a mere 40 weeks out of the year, for only 10 years though I know it's been longer) I've made at least 800 pizzas on this stone. So the per pizza cost to me is worth the initial investment. Then again, my family likes their Friday Night Pizza Nights to the point of obsession . . . I am sure most other people have pizza less often. That pizza stone looks beautiful to me, too. Baby steps indeed Sarah, you can't just go all Beet Crust on someone who's never had, say, spinach crust before! Last night the kids ate a meatball pizza, and both the meatballs and the dough had an ingredient (I'm calling it that for lack of a better word) made from grilled zucchini+black beans+pesto. (It didn't work as a stand alone dip, but does work as an ingredient in other things). They didn't bat an eye and had seconds. We use an extra-large ceramic tile from the Home Improvement store for a pizza baking stone. They have marble tiles too, which we use for serving on - they make EXCELLENT cheese boards! What a great idea, momdrinkstea! I've used tumbled marble tiles as coasters before, but never looked for larger stones. But, I'm lovin' that dough recipe! Thanks for sharing! I don't mind my broken stone as long as I can push the edges together, but some day I'll get a new one. Other things I'd rather have first, and it's still working fine. LOVE it! Pizza and poetry. I make pizza too but must admit that because I'm still working, I don't do the homemade dough very often. My favorite is to use cottage cheese as a sauce and then cover it with spicy sauteed greens. Add a dash of your favorite pizza cheese. YUM. I've been thinking about how to work all day and come home for a Friday Night Pizza night. 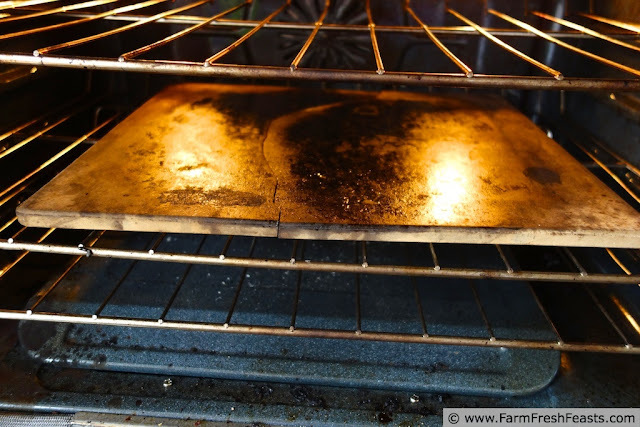 I have an idea of having the kids take the dough out of the fridge when they are rooting around for an afterschool snack so it is ready to shape after I get home and start preheating the oven. I'll have several opportunities to try it this summer and let you know. Now that my CSA farm share has resumed, your cottage cheese and spicy greens pizza is going to inspire me--as I found a cottage cheese here that I love. G'day! I love pizza stones too! I love your big square stone, that is awesome! I make homemade pizza all the time (dairy-free) but I have never thought to add seasonings to the crust :) I will have to try that next time, thank you so much! For some reason I'm compelled to start quoting Disney movies (from The Lion King "stick with me, kid, and you'll never go hungry again!"). If you ever get bored with your homemade pizzas, I've got some inspiration! I'm glad to share a new recipe--with your skills it is a snap to make different doughs. Sorry to see your broken stone! I have the same one and I couldn't bake without it! Thanks for sharing our products with your readers. Happy baking! I'm happy to share something that's been a good value for me and my family.